A year ago, Ryan Stassel was on crutches, recovering from foot surgery. Today? He's getting ready to go to the Olympics. A couple of days ago, Rosie Mancari was on Facebook, expressing frustration over recent results, thanking her sponsors and saying that some day her time will come. Today? She's getting ready to go to the Olympics. Both Anchorage athletes have been named to the Winter Olympic snowboarding team that will compete next month in Pyeongchang, South Korea. 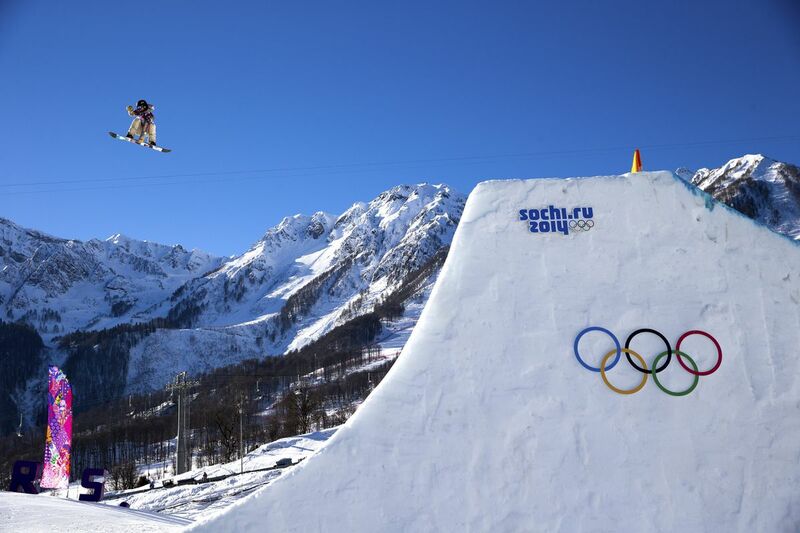 Stassel, 25, will compete in men's slopestyle and big air as a two-time Olympian. Mancari, 24, will compete in women's snowboardcross as an Olympic rookie. They are among seven Alaskans who have clinched Olympic berths, a group that is likely to grow by the end of the week. Mancari, who is in Bulgaria, texted her mom early Tuesday morning, about the same time a magnitude 7.9 earthquake rattled much of Alaska. "You still up?" she asked at 12:32. Angel Mancari responded 10 minutes later: "Just got woke up by a tsunami alert." Rosie sent a couple of quick texts after that, asking if everyone was OK, asking if they needed to leave the house. Then, from halfway around the globe, she texted her parents a map showing projected arrival times of tsunami waves, with a note saying it looked like Anchorage would be OK.
"That's when I Facetimed her," Angel said. "Then she popped it on me. Mancari and Stassel are both discretionary picks, meaning they were selected by coaches and other officials after failing to meet the objective criteria to make the team. Both have strong track records that warranted their selection. Stassel was a member of the 2014 Olympic team, won the 2015 slopestyle world championship and made the podium three times in five competitions last season before suffering a season-ending foot injury. Mancari won a World Cup gold medal last year in a team event while paired with Olympic medalist Lindsey Jacobellis and ranks 14th in the current World Cup rankings. She is third American in the rankings behind No. 3 Jacobellis and No. 6 Faye Gulini, who both secured Olympic spots earlier this season. Stassel said he was eating lunch Tuesday in Colorado when a coach Facetimed him with the news he was returning to the Olympics. "It was more of a sigh of relief (than a celebration)," he said. "More like, 'Yes! I can stop worrying.' "
Stassel, who has two pins in his left foot from the surgical repair of a broken navicular bone, doesn't have any top-three finishes this season, but on Saturday he did what he had to do to secure a return trip to the Olympics. With three of the four available Olympic spots filled by snowboarders who met the objective criteria, the fourth pick — "the wild card," Stassel called it — came down to a duel with Chandler Hunt of Utah at last week's U.S. Grand Prix at California's Mammoth Mountain. "I didn't need a podium, and I didn't need the highest points," Stassel said. "I wasn't competing to win, I was competing against another athlete and that was the only person I had to beat. So it was strategic, and very stressful." Both men made it to the Saturday finals, where Stassel placed fifth and Hunt placed seventh. But Stassel's selection wasn't quite as automatic as he thought it would be. "It wasn't easy knowing it could go any way. Nothing was certain." Nothing was certain for Mancari, either. In the final competition of the Olympic snowboardcross qualifying period, Mancari placed 25th in a World Cup competition Saturday in Turkey. She was the second American behind Meghan Tierney of New Jersey, who placed seventh. "I'd be lying if I said these last few races weren't very frustrating," Mancari wrote on Facebook later that day. "I'm healthy, in a good mental state, riding well, pushing my boundaries, and yet having troubles getting the results I want. "However, with that said, I'm really thankful for the strong support system I have that constantly reminds and motivates me to keep my eyes forward and look for the next opportunity, and my time will come! Thank you all." Turns out her time came rather quickly. On Monday, Mancari turned 24. On Tuesday, she became an Olympian. With the selections of Mancari and Stassel, Alaska now has seven athletes on the U.S. Olympic team. Leading the group is Kikkan Randall, a five-time Olympic skier from Anchorage. She'll be joined on the cross-country team by three of her teammates from Alaska Pacific University's nordic ski program — Sadie Bjornsen, Rosie Brennan and Erik Bjornsen. Girdwood figure skater Keegan Messing will be the first Alaskan to compete in his sport at the Olympics, although he'll do so as a member of Canada's team. Messing is a dual U.S./Canadian citizen. The list is expected to grow. APU skier Jess Yeaton, who was born in Australia and grew up in Anchorage, is expected to make Australia's cross-country ski team. And the U.S. will likely add a couple more nordic skiers to its team. The leading contenders are Anchorage siblings Caitlin and Scott Patterson. Caitlin, who trains in Vermont, was a four-time national champion at the U.S. Cross Country Championships earlier this month at Kincaid. On Sunday, she had perhaps the finest World Cup result of career, finishing 20th in a 10-kilometer classic in Slovenia, the second American in the field and three spots ahead of Randall. Scott, who trains with APU, was the top American in the men's 15K in Slovenia, placing 43rd. A number of other APU skiers are also in the running, especially if the U.S. Ski Team decides to take a full team. For the 2014 Winter Olympics, the U.S. team did not fill all of its quotas. A former UAA hockey player will also compete in South Korea. Mat Robinson, a former Seawolves captain, is a member of Canada's Olympic hockey team.